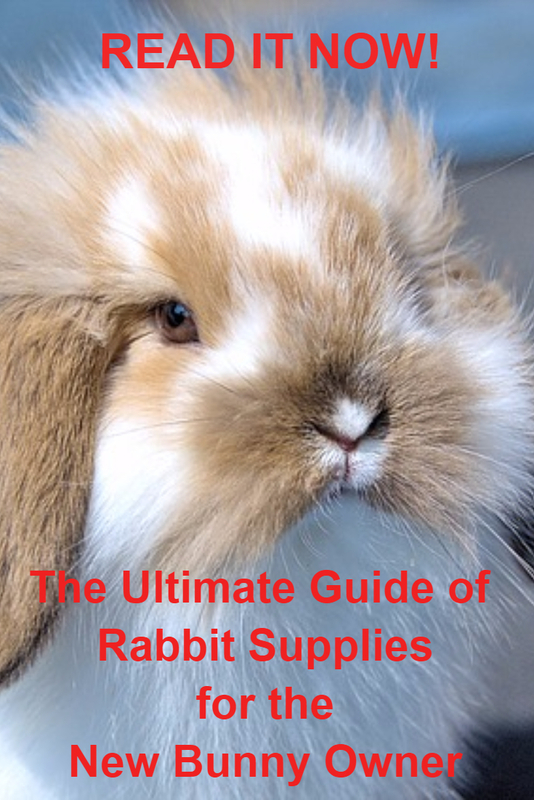 Rabbits – Make sure that you have grabbed the right rabbit when you’re packing them up. 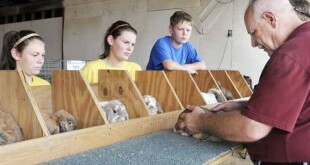 Match each entry card up to the ear of the rabbit before putting them into their travel cage. If you have very many rabbits, you might think about just putting some masking tape on the side of their travel cage with their ear number on it. 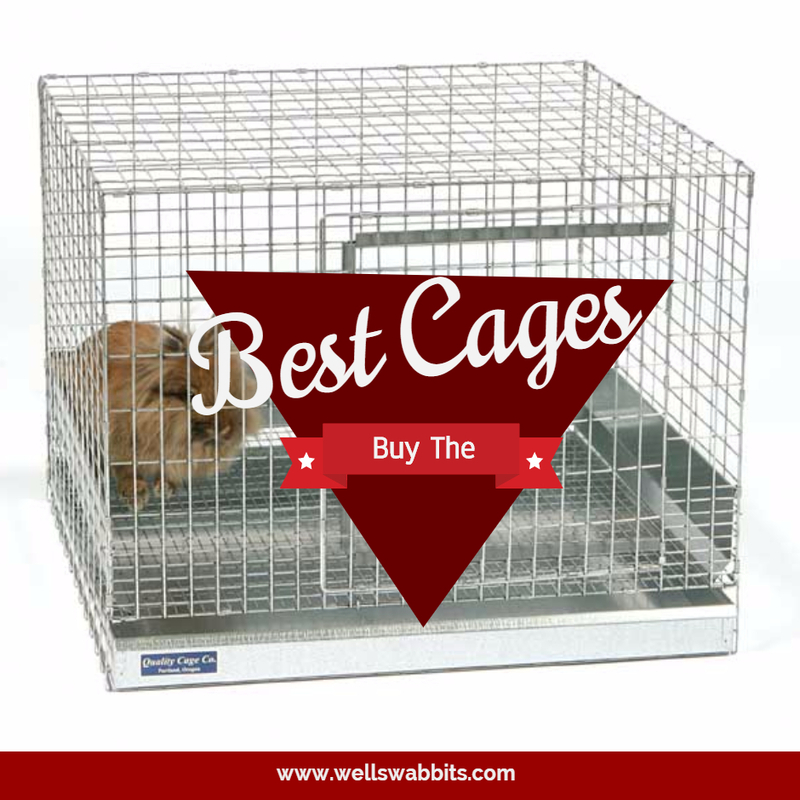 Group Your Rabbits Together – If you have a lot of rabbits that you’re bringing, try to put the rabbits of the same breed or same variety together in your travel cages so that it is easier to wheel them up to the show table together. 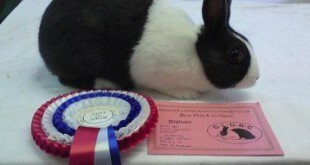 Bring rabbits you might not want to show, but might want opinions on from the judge. You might also want to bring rabbits you’d like to sell. I’ve purchased some great rabbits at show! 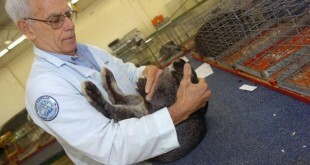 Sometimes breeders just have too many rabbits, so don’t assume that only the rejects are getting sold. Water – I fill up 5 or 6 1-gallon water jugs using MY water. My rabbits are used to drinking well water, and I don’t want them refusing to drink water I get at the show because the water is from chlorinated city water or from dirty tasting water that has been pumped out of a local lake. Hay. I always take a bag of extra Timothy Hay so that my rabbits can munch on it when they’re stressed or bored. My rabbits get very stressed when they’re traveling to shows. So, a lot of times they won’t even touch their rabbit pellets. But, even when they won’t touch the rabbit pellets, they’ll munch on the hay. Feed. I always bring our rabbit pellets, but I don’t find that my rabbits eat much of it while we’re gone.
) to a gallon of water, and add it to each of my water jugs. I start them on it prior to the show, and I continue to give it to them until one or two days after the show. I use it as a preventative to picking up coccidiosis from another rabbit at the show. Copies of my entry forms – I categorize them by breed that I’m showing so that it is easy to double-check who and what I’ve entered prior to each showtime, and to make sure I packed the right rabbit. Directions – I always print out directions to the show from my laptop at home because some of our rabbit shows in Oklahoma are in such remote areas that my car’s GPS and Google Maps can’t always get me ‘all the way there’. A lot of times, the GPS will just turn into an unmapped area, and then I am forced to stop at the local gas station to ask for directions. And, I’ve found that workers at gas stations don’t always know where the county fairgrounds is located. Your Entry Confirmation – If you submitted your entries via email, just make sure that you bring your receipt. 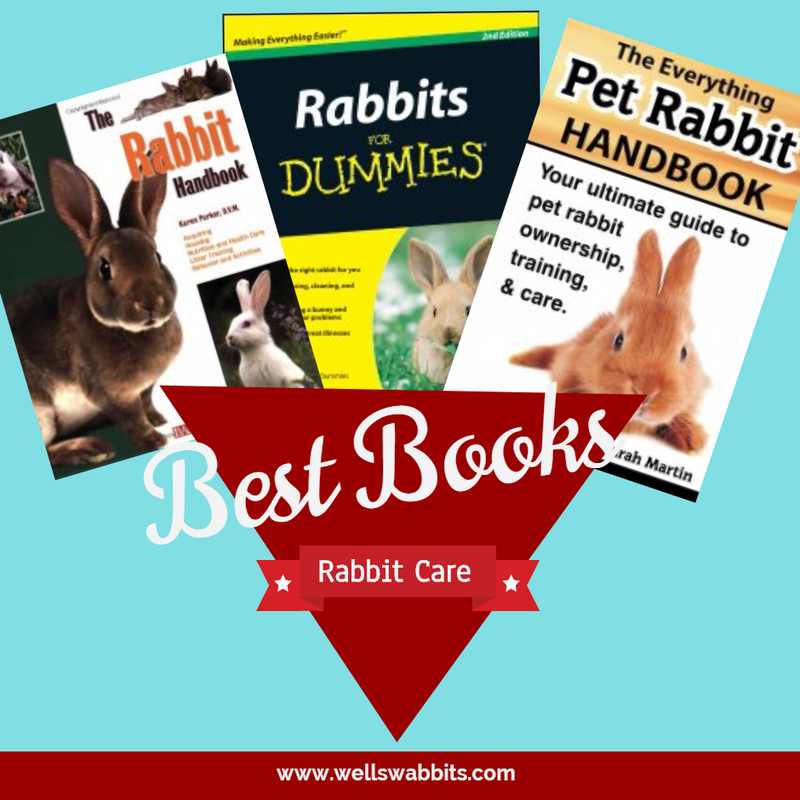 Rabbit Pedigrees – I have mine in a notebook. I just throw the notebook in with everything else. A lot of Standard Rex in Oklahoma are related somehow to a breeder in Denver, or we’ve bought and sold them back and forth enough that ours are related. 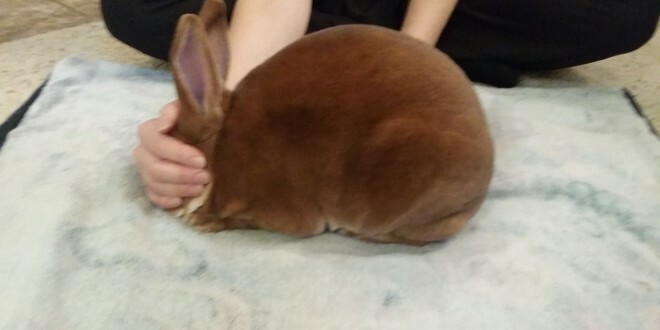 So, if I see a rabbit at a show that I want to buy, I like to be able to see if they’re related to any of mine. For Sale Sign – If you’re selling a rabbit, bring a sign and bring tape to hang it up onto something. Extra carrier – You never know what you might ‘acquire’ at show. Transitional Feed – If you plan on selling a rabbit at show, make sure that you bring transitional feed in a Ziploc baggie to give to its new owner. Yard Chair – I always bring my own folding chair because bleachers are too uncomfortable for me to sit on for an entire day. Grooming Table – If you don’t have one, there are almost always people at the show selling them. That’s where I bought mine. It’s much easier to properly groom your rabbit on the table. And, they fold up, so they’re easy to transport. Grooming Items – Brush (or for my Rex, a extra-fine tooth hacksaw blade and fine pumice stone for buffing) brush, nail clippers, grooming spray for some extra shine, and a towel and wash rag in case they get dirty, and baby wipes in case I end up having to rub ground in poop off a bunny’s belly or tail. Paper Towels and a Spray Bottle of Apple Cider Vinegar Spray – I ALWAYS, ALWAYS, ALWAYS bring paper towels as well as a spray bottle of vinegar water (which is a natural disinfectant) so that I can disinfect a judging coop if the one I’m about to put my rabbit into is full of pee or poop from another rabbit. A perfect way to end up with a dead rabbit is to place your rabbit in a judging coop that obviously had a rabbit in it with dysentery or snot running all over its face. You’d think people wouldn’t brings sick rabbits, but they do! A cart that can hold your rabbit cages so that you can push them over to the judging area inside their cages. An Apron or Jacket – I figured out very quickly during my first show, that I would be covered in bunny smell and would get pretty scratched up if I didn’t wear a jacket with sleeves on my way up to the judging table. And, it helps to also have an apron on so that you don’t get hair all over you. 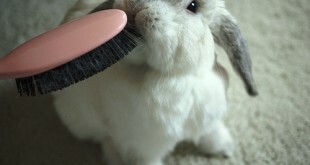 Lint Roller – To remove bunny fur from your clothes. First Aid Kit – Trust me. You’ll need it if you leave it at home. Carpet Square or Quilt – I use one under my cages when I’m transporting my rabbits or a quilt so that the cages don’t damage my seats. Extra Set of Clothes – In case you get all messy from a rabbit peeing on you, an extra change of clothes will be very helpful. Ice Chest – If the building we’ll be in is not air conditioned, and it’s warm outside, I’ll bring small frozen water bottles in the ice chest, and place them inside the travel cages next to our bunnies to help keep them cool. Something to Entertain You – There will most likely be periods of boredom at some point when you’re at the show. You can only talk to so many rabbit breeders before you’re all talked out and just want to sit down and do nothing. So, I like to bring books or my tablet, and I also bring a turbo boost charger for my phone since there aren’t any outlets available to charge my phone at most shows I’ve attended.